We are your best choice for import and domestic auto repairs and automotive maintenance services in Covina, CA. Here’s a few things that we feel really set us apart from the competition and make us your best choice for auto repair and maintenance in Covina. 100% Satisfaction Rating With AAA For 3 Years In A Row! Becoming a AAA-Approved auto repair shop isn’t easy, but getting a 100% customer satisfaction rating for three years in a row takes dedication! Our team of dedicated auto repair professionals take your satisfaction seriously, and strive to meet or exceed all of your expectations throughout your auto repair or automotive maintenance process. 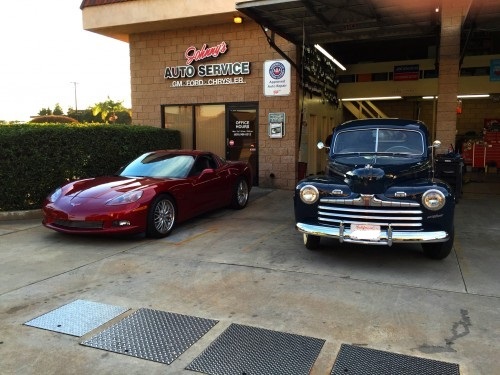 Our Google+ reviewers have nothing but good things to say about their experience with our Covina auto repair shop! Having earned the honor of becoming a AAA-approved auto repair shop, and 100% rating from AAA in customer satisfaction, it’s easy to see why our customers keep coming back! Some of the great things our customers are saying about us on Yelp! Requesting an appointment is easy with our online form or just give us a call!